Honestly, summer may be coming to an end, but violent mosquitoes and harmful ticks are not. Also, wasps seem to love my lemonade and I’ve suffered through more than just one of the nasty insect bites this summer. 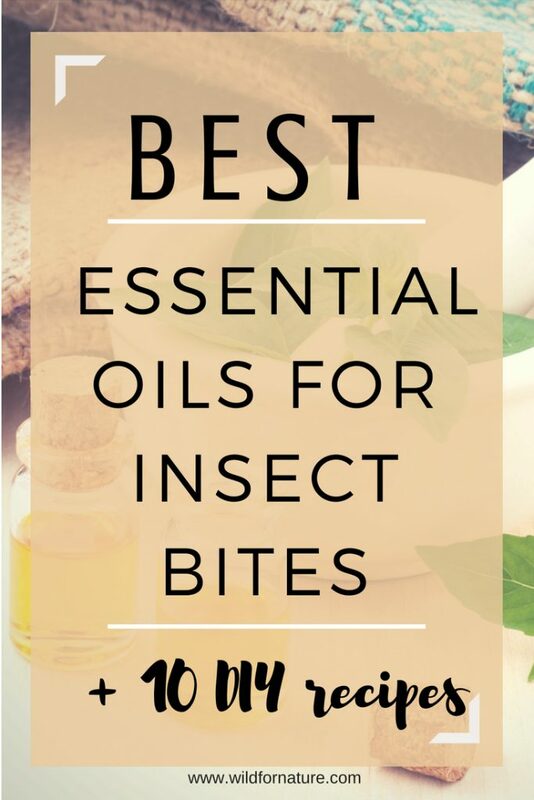 That’s why I decided to share a list of best essential oils for insect bites with you! I’ve gathered my personal favorites and I use all of them regularly (apart from the last one). Do they work? Yes, I’m very pleased with the results. What’s more, have a look at 10 easy DIY bug bite recipes that’ll provide you with an instant relief and heal the nasty and itchy bites! 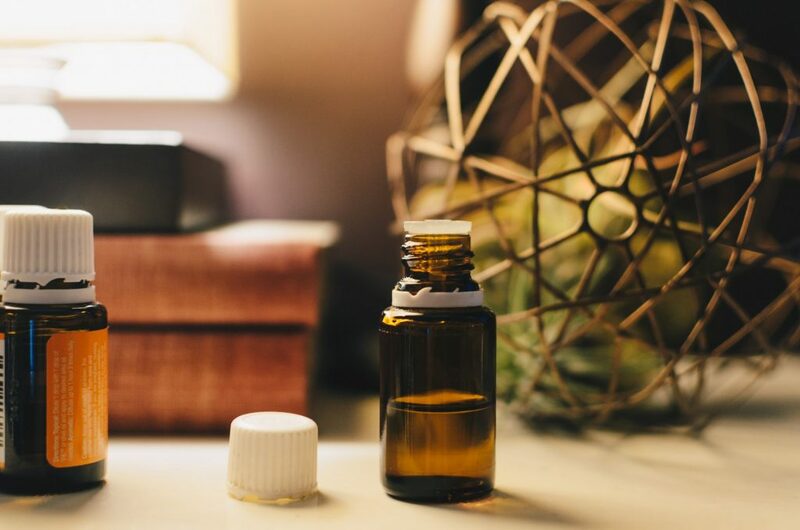 Let’s have a look at the best essential oils for insect bites and how to instantly relieve bug bites! How do you stop a bug bite from itching? Essential oils never cease to amaze me (and you can learn more about them easily!). Combined with a proper carrier oil, these potent wonders of nature can do miracles in terms of our skin, overall health, wellbeing, and other problems we may face, be it polluted air, painful muscles, and even toe fungus (yuck, I know, but hey, there are essential oils for that as well). That’s why I decided to make another extensive list of these wonderful liquids, this time on the best essential oils for insect bites. As I’ve said before, summer may be coming to an end over here, but that doesn’t mean you’re ready to enter autumn as well. After all, summer is in full swing somewhere on the planet! Now, let’s have a look at what essential oils are good for insect bites. 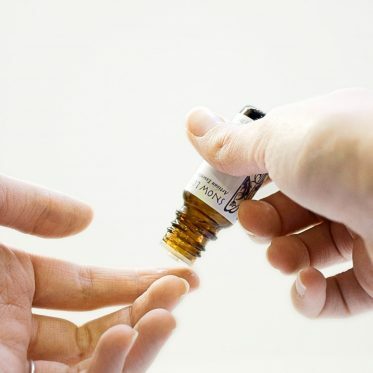 Below, I’ve also included some ways of how to use essential oils to instantly relieve bug bites. Before we get to the DIY bug bite recipes, let’s see the oils you can benefit most from! I don’t know about you, but I always forget about rosemary essential oil. Rosemary in my kitchen? Sure! I even have a large pot of it growing outside. But on my skin? Never! As it turns out, rosemary essential oil for insect bites is the first thing to get if you want to battle the annoying bug bites, swelling, and itching. What’ more, it can also prevent the infection. Rosemary is anti-inflammatory (claims this study) and analgesic. It’s loaded with antioxidants which boost the healing process of the skin. What’s more, rosemary oil can soothe a bug bite and can be used in an insect repellent as well! For a natural relief from itchy bug bites, try peppermint essential oil. After all, peppermint oil is very versatile (can be used to treat sunburn as well) due to the menthol content. It can soothe the damaged area of your skin, numbing it and cooling it at the same time. Peppermint also speeds up the healing process of the skin, prevents any secondary infections, and reduces redness of the bite. If you’re looking for a remedy to instantly relieve bug bite, peppermint is your oil of choice. You can apply this oil directly to the area where you’ve been bitten. Generally, it’s safe to use without diluting it, but make sure to do a test patch beforehand anyway. Lemongrass’ antimicrobial properties suppress the growth of bacteria and fungi. Apart from that, lemongrass can serve as a natural tick and flea repellent but don’t use it on your animal pets (as they might lick themselves and the oil with it). What’s more, lemongrass is also antiseptic, anti-inflammatory, and analgesic, which means it can reduce pain or an itch from a bite. Basil plant is a regular companion to my rosemary pot. As an essential oil that helps with bug bites, it’s a complete novelty. I had no idea basil essential oil even exists until a while ago. In any case, basil oil is another natural remedy for bug bites on this list. It can soothe a damaged area that suffers from an insect bite. Basically, it can reduce the swelling, the itch, and the size of a bug bite due to its anti-inflammatory, antibacterial, and astringent properties. At the same time, it boosts the healing process of the skin around the wound as well. Seriously, what’s lavender oil not useful for, right? This one is the best natural remedy for more or less anything! Also, it’s one of the best oils to instantly relieve insect bites. 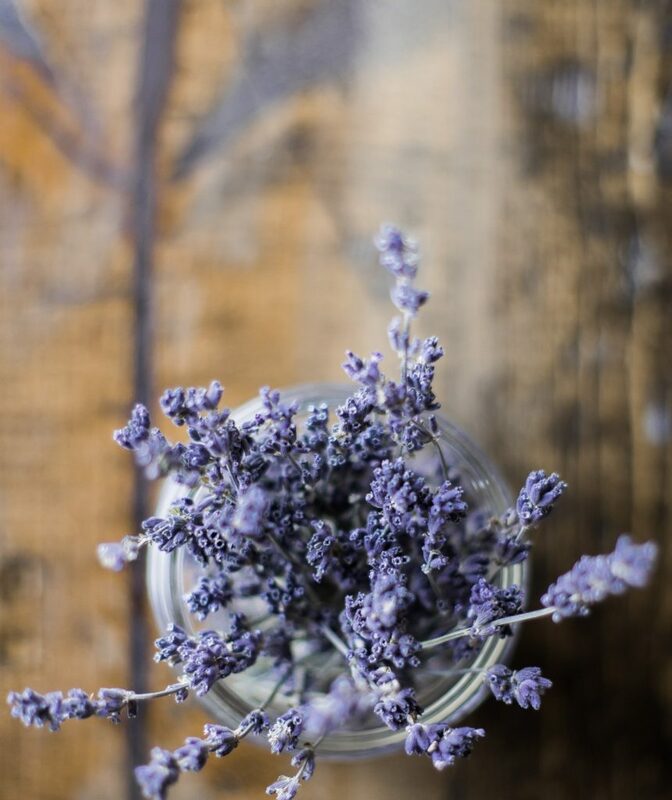 Lavender can help reduce and soothe painful and itchy bug bites. 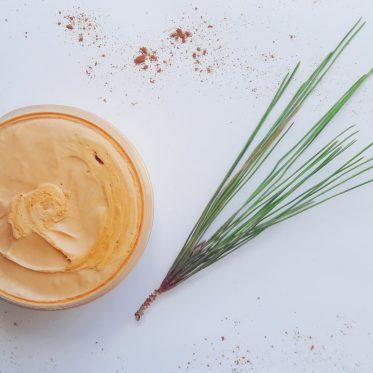 It can be used for fire ants and bees as well, due to its anti-inflammatory properties which reduce redness of the bite, cool the hurt area, and calm it at the same time. I could go on with lavender properties into forever, but I decided not to do that. Have a look how you can use it in case of a sunburn and even problems with dark circles! One last thing: this oil can be applied undiluted to the hurt area, just make sure to test the skin first for any possible allergic reactions. I use it undiluted regularly, and I’ve never had any problems with it. 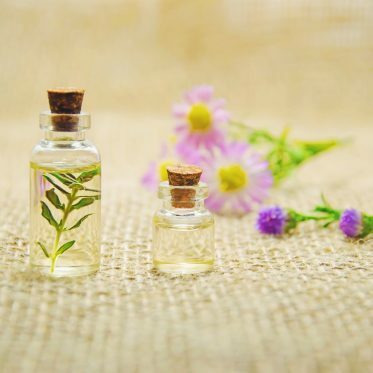 One of the best essential oils for insect bites, tea tree oil is as useful as is lavender. It’s my favorite to use for acne and itchy scalp, but it’s applicable to a number of other ailments as well. This one can be applied undiluted as well, directly on the bug bite spots to prevent any potential infections and relieve the itch, burn, and pain of the bite. Tea tree is anti-inflammatory, anti-fungal, and antibacterial. It can eliminate pain, reduce swelling, and it can be used to fight spiders, fire ants, mosquitoes, ticks, and even fleas! Oh, tea tree oil also boosts your immune system and promotes skin health as well! Just make sure to use high-quality essential oils for the best effects. Chamomile is another all-star ingredient on the list of best essential oils for insect bites. It’s very versatile in its use and this is another area where it shines. Chamomile is very calming and relaxing (goes great with lavender) but when it comes to a remedy for bug bites, it seems to soothe painful and inflamed area on your skin. Chamomile is my all-time favorite natural remedy, also because of its antiseptic and analgesic properties. What’s more, it can also protect you from further infections and soothe the itching. A great thing about it is that it’s also safe for young children and sensitive skin! Another one of my preferred oils, Melissa or lemon balm has antiviral and antibacterial properties that are very important when it comes to dealing with insect bites. Melissa oil can keep infections at bay and improve the immune system at the same time. What’s more, lemon balm also has anti-inflammatory properties and helps to reduce swelling and itching in bites you suffer from. Melissa also promotes skin health, improves the healing process of the skin, and clears the conditions that are caused by bacteria and fungi. Get your own Melissa essential oil on Amazon. Camphor, huh? Well, I’ve never really heard of this essential oil until I started the research on best essential oils for bug bites. I’ve used all the other oils on this list, apart from this one. But I figured it was interesting and I really wanted to share it with you. Anyway, camphor is a relative of cinnamon. So it can’t really be harmful, can it? Camphor is known for its tingling yet cooling sensation it leaves on the skin when applied. That’s what makes it a great natural remedy that can help soothe the itchy bug bites, calming the skin at the same time and preventing any further infections. Apart from that, camphor is anti-inflammatory, antioxidant, detoxifying, analgesic, antibacterial, and antifungal. This oil can soothe inflammation, soreness, and redness. It’s excellent for insect bites, itching, and irritated skin. Get your own camphor essential oil on Amazon. In the next part of the article, I’ll show you how to make homemade bug bite recipes to soothe itching, pain, and swelling. Let’s have a look at how to use essential oils to instantly relieve bug bites. These recipes are very easy and can be made in no time. 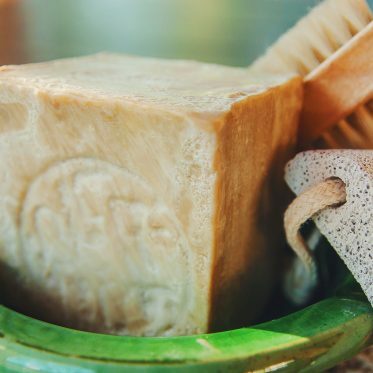 My favorite is definitely the recipe with bentonite clay, but any of these will do when it comes to the need to heal insect bites! Take a clean piece of white cloth (a sterile pad) and soak it in chamomile hydrosol (helichrysum or lavender will work as well). Make sure that hydrosol was refrigerated and it’s now cold. Place the compress on the irritated area of your skin. Reapply as often as needed, until the swelling disappears. PS: feel free to use a blend of essential oils here (but stick to the 1 TBSP vinegar -5 drops EO ratio) if you wish. Also, you can use peppermint or tea tree oil for insect bites instead of lavender. You can freely apply any essential oil topically (the ones I recommend), to maximally benefit from its positive soothing, calming, and healing effects. I normally add a few drops to an ear cotton swipe and dab the problematic area. You can also directly drop oils to the hurt area, but whatever method you choose, make sure to test the oil first for any allergic and other reactions to the skin you may potentially experience. Not my favorite recipe, but it works in any case. You can substitute distilled water for hydrosol. An easy thing to make, this essential oil blend in a roller bottle makes it even easier to bring with you wherever you go. Add equal parts of essential oils with a carrier oil of choice (fractioned coconut, sweet almond, grapeseed oil…). Another easy recipe to make and keep around you all the time, this essential roller with chamomile hydrosol is truly soothing and can help with a bee sting. Hopefully, you experience none of them, but just in case it’s useful to have a recipe ready. For best results, store the gel in the fridge before applying. That way, you’ll cool and soothe the hurt area even more. This one is a bit more on the messy side. Charcoal leaves stains where it can, so make sure not to drop it anywhere but on the intended spot on the skin. It can also leave minor black stains on your skin but they will disappear (with washing and showering). PS: don’t use any metal utensils when working with clay! Use ceramic /plastic/wooden bowls and spoons instead. Now, I’ve found information online that the best way to remove a tick is to grab it and pull it straight out. I have to say I very much disagree with this process. There’s a chance a part of it gets left in the skin and that’s exactly what we don’t want here. Drown the tick in oil! I found out that neem oil is perfect for this. I’ve written about neem oil skin benefits here, but in short, neem oil is a great oil for dry skin. What’s more, it’s also excellent when it comes to skin conditions. It’s great for itchy and irritated skin. Okay, let me get back to ticks. Anyway, I drown the tick in oil (add a few drops of neem oil on the insect). After a while (when it’s swollen, drowned, and playing dead) I remove it with tweezers. I have found info that using any kind of (essential) oil can agitate the tick and make it salivate more, which means there’s a greater chance for you to get a disease. There isn’t any evidence to actually support this claim (let me know if you find any). Here’s only a suggested post on the best way to remove ticks. Alternately, after you’ve removed the entire tick, apply essential oils to the area, to soothe the skin, the itch, and to avoid any infection (between you and me, I still think that Lyme-disease-carrying thick will pass it on with or without the essential oils. In my personal opinion, I believe you can prevent and skin infections on the surface with essential oils, but not the disease the nasty insect is carrying). Anyway, apply essential oils to soothe the hurt, itchy, or irritated area of the skin and not to remove the tick itself. I normally make larger batches (about 4 oz) of this spray, since we use it quite fast. You can halve the ingredients if you prefer, but I use a lot of this for mosquito bites, and there’s a lot of them on my terrace regularly. 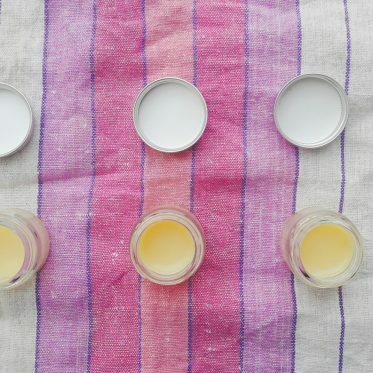 I collected the list of these best essential oils for insect bites and the recommended DIY recipes for the usual mosquito bites and other summertime annoyances. This advice is not meant for people who are allergic to insect bites. In case you’re allergic, head over to the emergency room right away! Essential oils don’t work for the very venomous creatures such as brown recluse and black widows. Essential oils will help the itchy and swollen area where you’ve been bitten/stung. However, you should be aware that the oils will not prevent any infections or diseases that the insects carry. What do I mean by that? if you live in an area where there’s a greater chance for you to get Lyme disease from a tick, make sure to check and follow the symptoms. If you wish to not overcomplicate your life, you can easily keep coconut oil or shea butter on hand, just soften it, add a few drops of essential oils and apply to the hurt area. Essential oils are beneficial but they’re very potent. Don’t forget that especially when you’re using them on a sensitive or even children’s skin. Always test before using for any potential allergic reactions. Not all essential oils are created equal. You may find many of them on the market, but make sure to get only pure best therapeutic grade essential oils with the highest quality and a possible USDA certificate. What’s your usual practice with itchy bug bites? What do you think are best essential oils for insect bites (based on your experience)? Let me know!